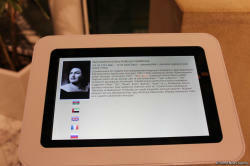 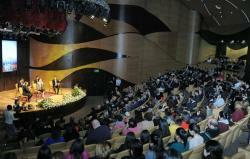 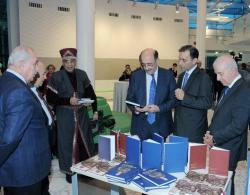 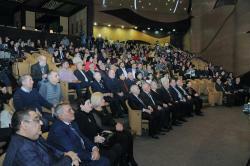 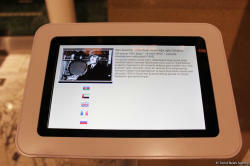 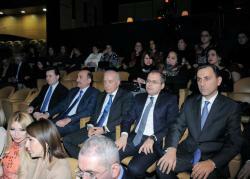 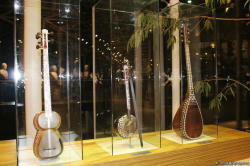 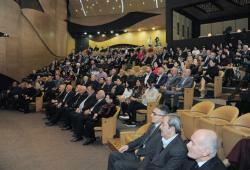 The 10th anniversary of the International Mugham Center was marked in Baku on December 27. 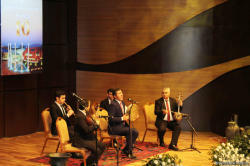 The event was attended by Minister of Culture of Azerbaijan Abulfaz Garayev, First Deputy Minister of Culture Vagif Aliyev, head of Sabail Executive Power Vugar Zeynalov, public and cultural figures, Trend Life reported. 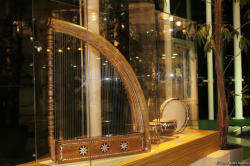 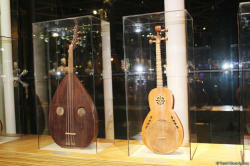 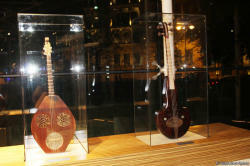 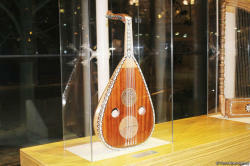 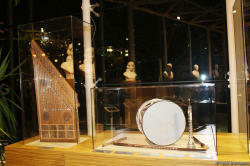 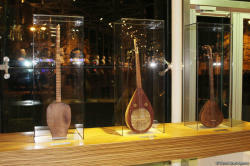 At the beginning, the guests viewed the exposition of ancient musical instruments in the foyer of the Center, as well as familiarized themselves with the books devoted to the art of mugham. 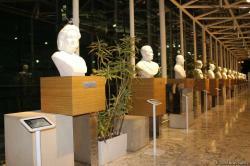 Interactive placards were placed in front of the busts of prominent mugham masters, which reflected information about the life of the works of art masters. 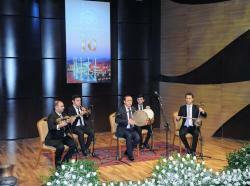 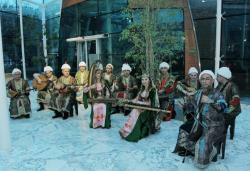 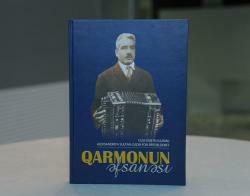 During the event, the ensemble "əsrlərin sədası" ("Echoes of Ages") also performed. 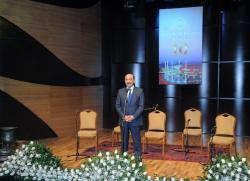 Speaking at the event, Abulfaz Garayev noted that over the ten-year period of activity, the International Mugham Center has passed a successful path. 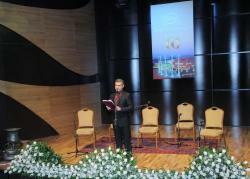 He stressed that the state pays great attention to the propaganda of mugham, both in country and abroad. 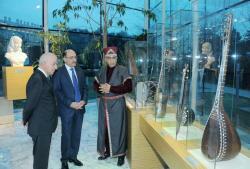 The Minister noted that the constant care and respect for culture and art shown by President of Azerbaijan Ilham Aliyev and First Vice President of Azerbaijan, President of the Heydar Aliyev Foundation Mehriban Aliyeva, contributed to the recognition of mugham art throughout the world, its inclusion in the UNESCO Intangible Cultural Heritage List. 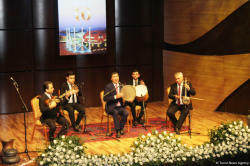 It was also emphasized that the building of the International Mugham Center is one of the most beautiful architectural monuments of the capital. 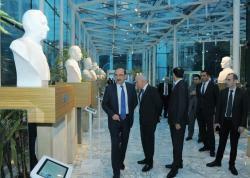 The fact that the busts of prominent mugham masters are installed in the lobby of the building serves to promote this type of art. 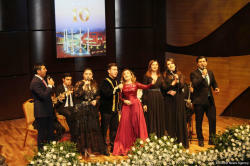 Concerts with the participation of outstanding mugham singers, international conferences and festivals, memorial evenings, anniversary events are held at the International Mugham Center. 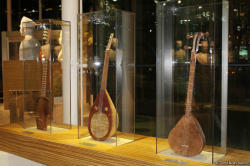 All these activities serve to preserve and widely promote mugham. 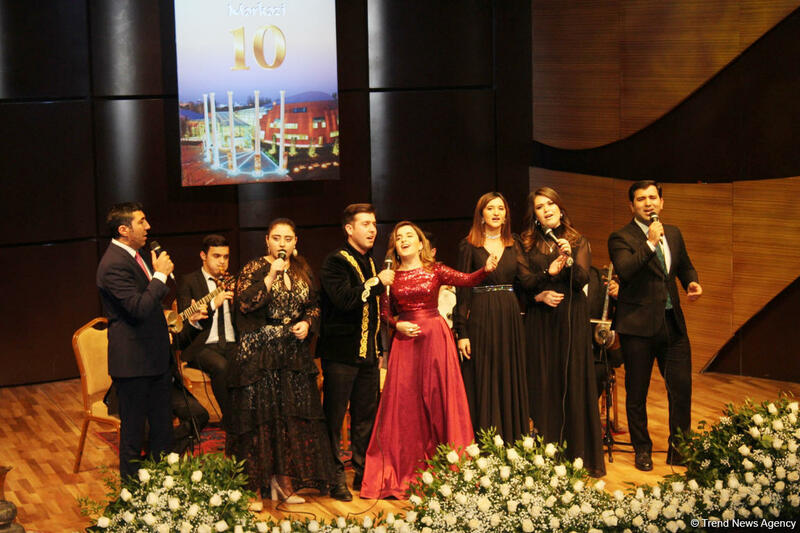 Then the concert program with the participation of honored artists of Azerbaijan Ehtiram Huseynov, Babek Niftaliyev, Sabuhi Ibayev, as well as Kamila Nabiyeva and Sabina Arabli was presented to the participants of the event.